The Ballroom, with its vast floor space and plenty of free parking, is ideal for conferences and business meetings. The main Ballroom has approximately 6,400 square feet of open space which can be configured in many different ways. A reception area and a separate studio are also included in most rentals. The Ballroom is handicapped accessible. Chairs can be arranged auditorium style for hundreds of guests. Break-out groups can be set up with or without the use of pipes and drapes. The studio is available as an additional room with most rentals. Small groups may wish to rent just the studio. Light catering can be provided at an additional charge. The customer is also welcome to arrange outside catering. Plenty of restaurants–Panera Bread, Five Guys, IHOP, Qdoba Mexican Grill, Siu’s Asian Bistro, Potbelly Sandwiches, Chick Fil-A and TGI Friday’s–are within easy walking distance of the Ballroom. Also within easy walking distance is a Hilton Garden Inn. The Ballroom is available for rent to businesses on Monday, Tuesday, Wednesday and Friday between 7am and 6 pm. 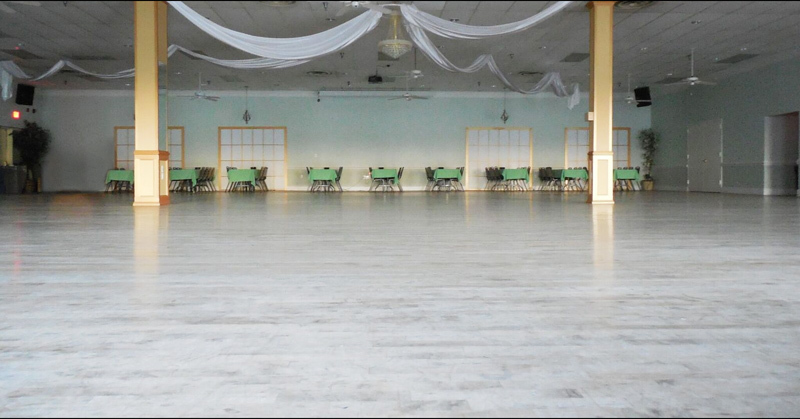 The Ballroom is available for rent on Saturdays from 4:00 pm to 1:00 am Sunday morning. • For large groups, rents are in the ballpark of $250 per hour with a four hour minimum (includes a complimentary hour for setup). • Prices may be prorated for smaller groups and for groups renting out just the studio. • Prices also vary with different accommodations needed by a group. 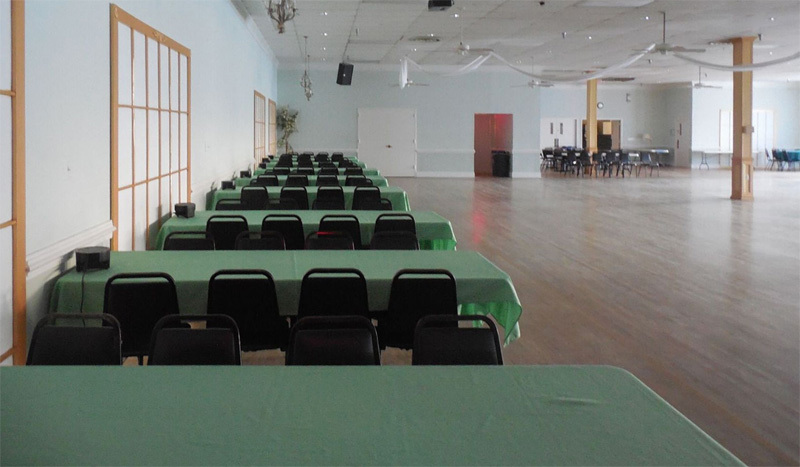 To inquire about renting the Ballroom for your business and to receive an estimate for your business meeting, please fill out the Business Rental Application Form.